On Thursday 24th July, 15 Palestinians were killed and 200 wounded during the strike on a UN school which was being used as a shelter for displaced citizens, mostly women and children. UN representatives and staff were trying to evacuate people when the attack happened. A UN top humanitarian official, Valerie Amos, called the Israel attack ‘appalling’ and stated that conditions for people taking UN shelters quickly worsened, suffering a huge shortage of food and water. 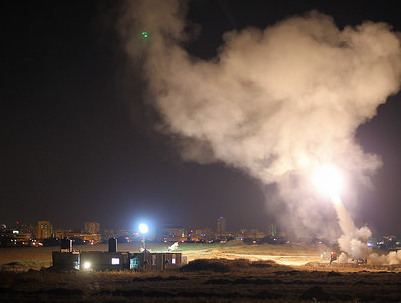 Amos also stated that, unfortunately, the Israel attack on UN shelters wasn’t the first this week, but she did not believe that they targeted their facilities on purpose: “Gaza is so crowded that it’s hard to avoid hitting civilian targets, that’s why the number of civilian deaths continues to rise”. More than 700 Palestinians have been killed in Gaza in 17 days of fighting between Israel and Hamas. One third of the victims are children. The military operation is called Protective Edge and more than 30 Israeli soldiers and three civilians were killed in it. US airlines reported to have lifted a flight ban to Israel this morning, while European airlines, namely Lufthansa and Air France, have banned the flights describing Gaza current situation as ‘very fluid’. There is no sign they are going to lift this ban at this moment. In these potentially dangerous situations, it’s strongly not recommended to visit Gaza and Israel or to fly over the territories of these countries. Still, wherever you’re going to travel it’s necessary to take care of your safety and personal belongings to avoid any troubles. Make sure you buy decent travel insurance to protect you against any predicaments that may arise.